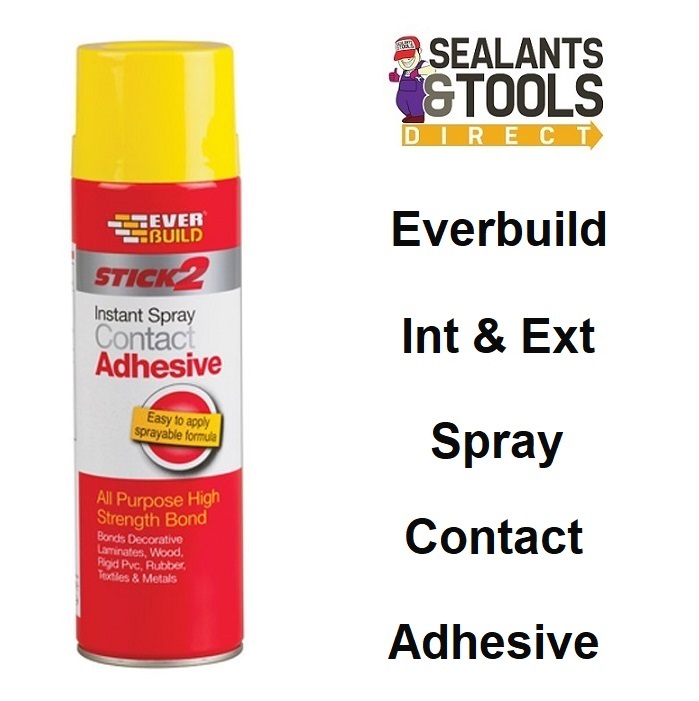 Stick 2 Spray Contact Adhesive is a sprayable glue. Bonds to most common materials including wood, concrete, stone, tiles, rubber foam, metals, rigid plastics, polyethylene, canvas, fabrics, cardboard, paper cork etc. Gives excellent permanent or temporary adhesion depending on method of application. Fast rate of tack development. Ease of use no messy spreading. Time saving easier and quicker than most trowel spreader applied adhesives. Foaming formula gives low soak in into most substrates. Bonds all woods composite board etc. Fixing most common laminate materials. Bonding metals to most surfaces.